Make no mistake: when dealing with Piniol, you shouldn’t put the spectacular side of the formula before the music. Of course, on paper, this 7-headed Hydra clearly stands out fromthe French musical landscape. 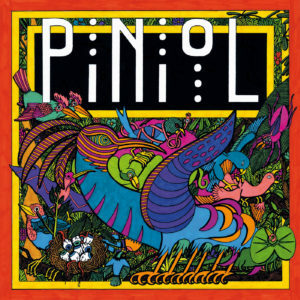 In an ever-growing trend of simplicity (be it in the line-up or the music, precisely), Piniol set no limits. Born of the spontaneous reunion of two bands (Poil and Ni), Piniol (yes, there’s a pun, but you need to know French slang…) have, from day one, chosen to occupy various musical grounds, all of them wild and free (noise, jazz, avant-rock, math) while cultivating a permanent research and perpetual movement, like only 7 brains can create. Maybe yes, maybe no, but definitely, that state of uncertainty is an invitation to lose your senses and surrender. You are expected to give in to the unclassifiable music – a music that is both well thought out and (un)intentionally primal – that you will hear on Bran Coucou, the latest album produced and released by Lyon-based collective Dur Et Doux. From frontal bits to dry and stocky sections, Piniol won’t chose between maxi and minimalism and state their singularity loud and clear in their syncretic approach of musical extremes that could be quite hard to associate at first sight. The result is a good surprise: Bran Coucou is amazingly digestible and will have a single consequence: the need to see the whole thing live. You get it, the Piniol maze has several entrances but only one way out : ecstasy!